Selecting an architect is an important decision in any construction project. However, if you are looking to build in Spain, it is even more so. To engage the right architect around Costa Blanca and Costa Cálida is perhaps one of the most crucial decisions of the venture. The architect and his team can become invaluable not only in their ability to communicate easily with you, and give shape to your ideas, but also to act as liaison with local authorities and construction companies. 80% of all of our clients are from overseas. With more than twenty five years of experience as architects in Costa Blanca and in Costa Cálida, we have specialize in helping the expats that is why all our staff speak at least English and one other language. 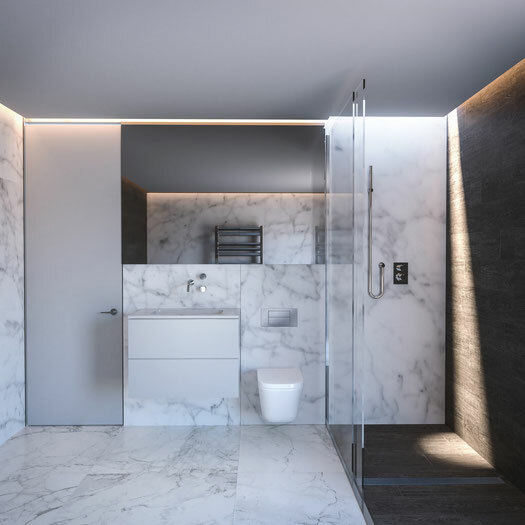 We take the time to interact with our clients and to describe in great detail all the planning and construction process that his project will require to go through. We know that procedures are different and cumbersome in Spain, that is why all the bureaucratic process with local authorities required for your project is handled by our specialized staff and free of charge. Our field of work is mostly in Murcia, Alicante and Valencia although we have projects all over Spain. Our main partner Juan Pacheco is also a chartered architect in the prestigious Royal Institute of British Architects (R.I.B.A); please follow this link and type his surname (Pacheco) for a search in the RIBA list of Chartered Architects. To fully understand the role of an architect in Spain, what are their fees, how their work is phased, what are the questions you should ask before engaging him or her etc, please read this exhaustive article. What is an architectural project? Is the information required to construct building and obtain the necessary planning approval and building license. You can see some of our architectural work in main projects or you can read our client testimonials. But if you want more information, contact us.